The design and construct contract for the New Generation Rolling Stock maintenance facility for Bombardier at Wulkuraka, Queensland was awarded to Fredon by head contractor Laing O’Rourke. Fredon also maintains the electrical services for the site. 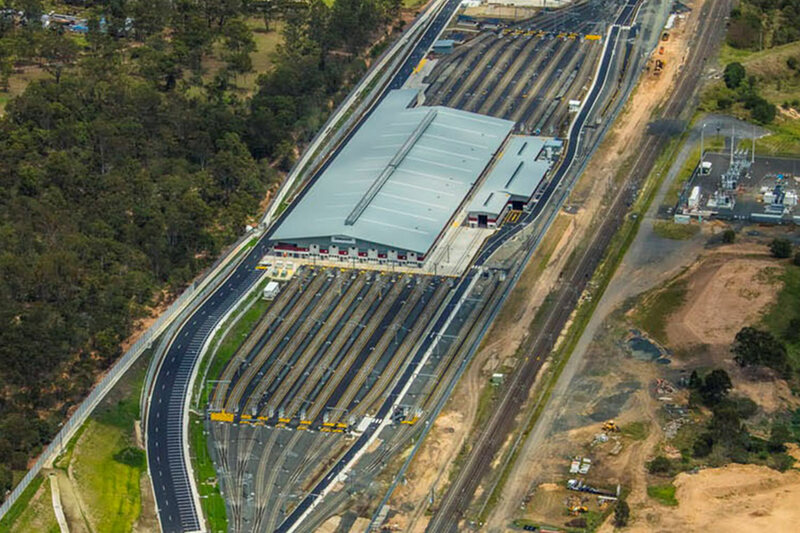 The purpose built Wulkuraka facility is designed to maintain the 75 new trains purchased under the Queensland Government’s wider NGRS project for 30 years. Fredon’s work was awarded a National Electrical Contractors Association (NECA) Queensland Excellence award for Medium Industrial Project. Fredon’s role was to complete the design and then construct high voltage, low voltage electrical and communications installation for the entire facility. The facility consisting of the site wide private HV network, road and rail lighting, main maintenance building, Q Rail administration building, wheel lathe building, remote stores building and security office provided both design and installation challenges managed by Fredon in close collaborative conjunction with the head contractor. Site Logistics – Multiple buildings on a large site. Earthing and lightning protection system – Rail, HV & Lightning protection earthing requirements and regulations on the same site. Custom one off facility – Managing design challenges from power supply requirements to physical locations, mounting and access of required reticulation, specialised outlets and lighting requirements – many individual specialised components need to be monitored in detail.